Many folks tag the annual UAAP Cheerdance Competition as the perfect event to showcase school spirit, but for the thousands of students, alumni and avid fanatics, it is considered a tradition. True to this year’s theme – “Unbreakable” – I was able to purchase a ticket to this event which was held for the first time at the Mall of Asia Arena and continue what I have started in 2004. Aside from the usual “awwwwsss” and “whoooaaaas” when stunts fail, nothing beats the intensity of team spirit. I can’t help but laugh whenever I hear side comments ranging from over-biased praises to utterly rude (whispered) criticisms. b. The Commentator – You will always hear this guy comment on the costume, props, choreography and even the school’s cheer. d. The Historian – knows the history of the whole UAAP Cheerdance Competition, what stunts were copied, what music was used in 1999, and the chronological order of winners of the past decade. e. The Documenter – takes pictures or videos most of the time. I wonder if this person appreciates being there “live.” He/she should have watched at home and recorded the whole event instead. 2. Venue (+) – bigger, better, and brighter. The LED surrounding the whole arena was superb. 4. Hosting (-) – I don’t know if something went wrong with Jessy Mendiola’s microphone or she was simply overshadowed by the energy of Boom Gonzales. 5. Program (-) – Probably one of the draggiest. 2. UE goes blond – uhmmm, we’ve seen that last year! Congratulations to the University of the Philippines Pep Squad for a well-deserved win. PS. Bleeding black and gold and a mix of blue is not easy. 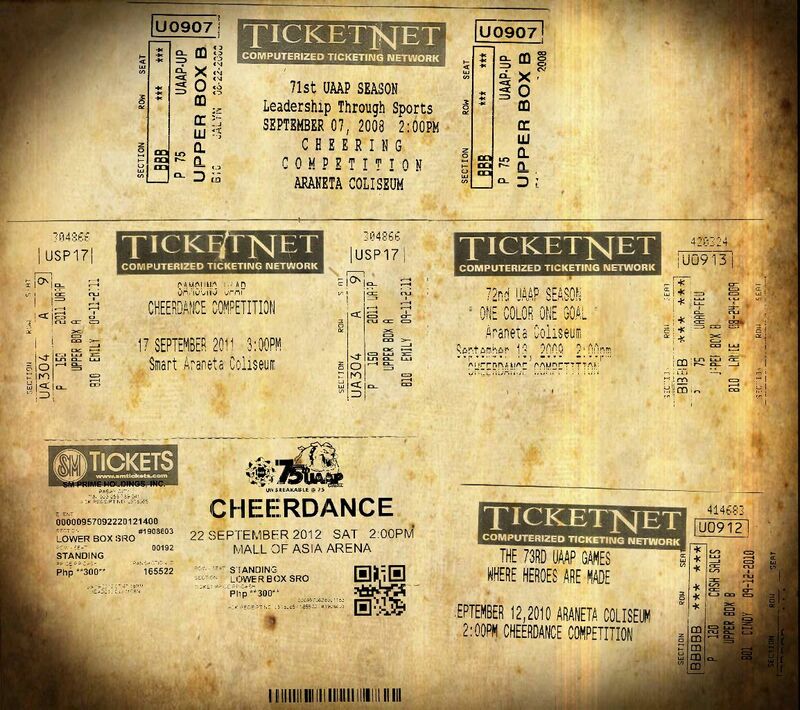 But when it comes to cheering, I go for USTe!